the finest services to our clients. The prestigious certifications we have received are testimonies to the fact that we never compromise on quality. 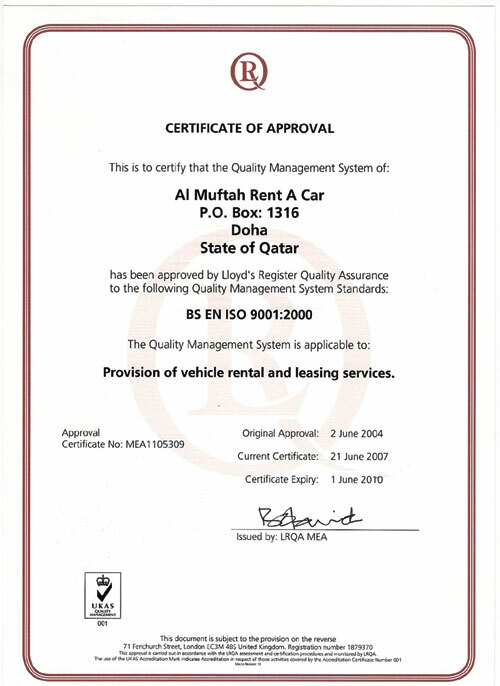 Al Muftah Rent a Car brings in decades of experience to provide an unparalleled customer service in Bahrain.